Great location, great flat and a lovely host thankyou! Host was excellent. Apartment excellent. Very central. Secure. Very comfortable would recommend and definitely stay again. Rob went above and beyond, provided lovely breakfast, snacks, beer and wine. A gem of a guy. Rob was the perfect host and couldn’t have done more for us. Lovely flat, Great location and delicious breakfast! Location is excellent! It made travelling with small children so much easier. There's a Tesco express literally across the road which is always handy when you have children. Rob was very welcoming and friendly, he even let us check out later and kept our luggage while we enjoyed a sunny day in Cardiff. The apartment is lovely and has everything you need. Look no further. We have had an amazing stay. Rob is a first class host making sure everything was in place for a smooth and perfect stay. A spacious, modern and clean apartment set in an excellent location, more or less in the heart of the town centre. We will definitely be booking to stay in the apartment again! 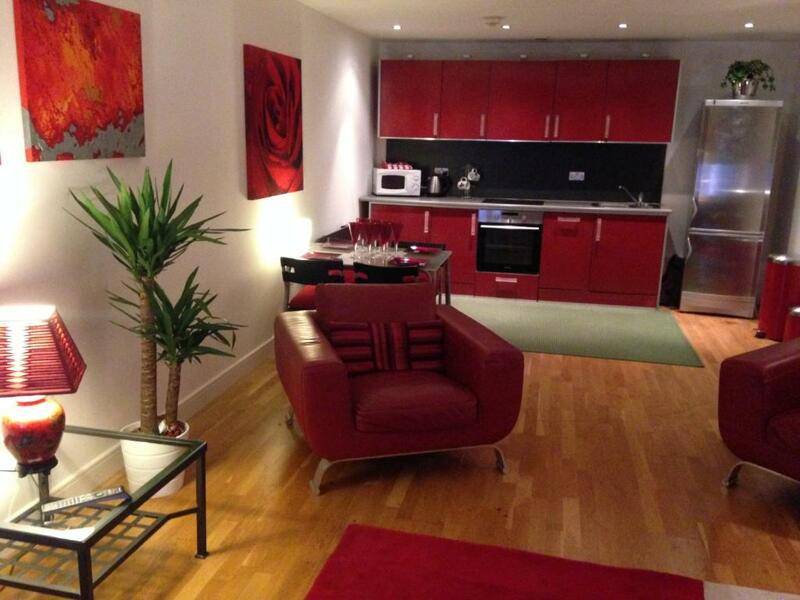 Lock in a great price for Stunning Spacious City Apartment - rated 9.9 by recent guests. One of our bestsellers in Cardiff! 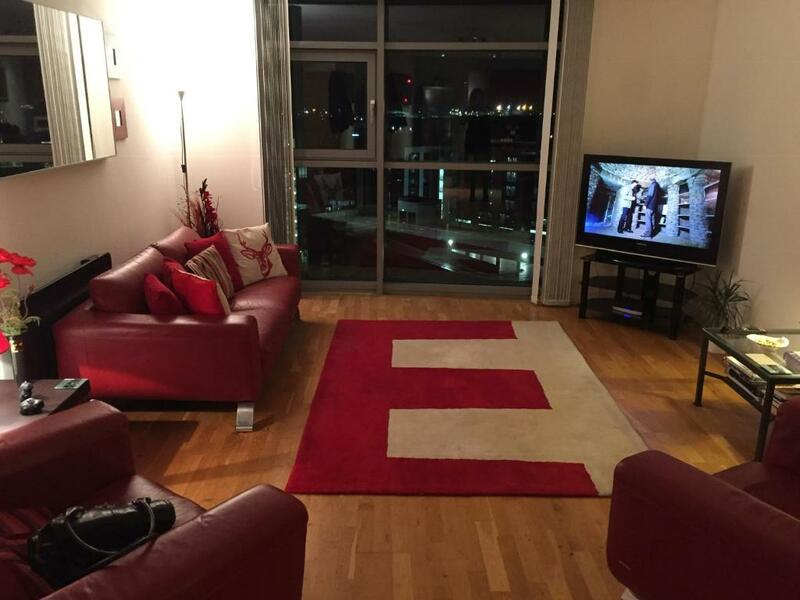 Offering free WiFi, Stunning Spacious City Apartment is situated in the centre of Cardiff, just 450 yards from Motorpoint Arena Cardiff. Guests staying at this apartment have access to a fully equipped kitchen. The apartment consists of 2 separate bedrooms, 2 bathrooms with free toiletries and a hair dryer, and a seating area. A flat-screen TV is offered. 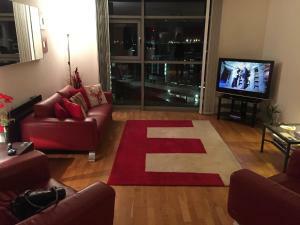 University of South Wales - Cardiff Campus is 550 yards from Stunning Spacious City Apartment, while St David's Hall is 750 yards from the property. The nearest airport is Cardiff Airport, 13.7 miles from the accommodation. This property also has one of the best-rated locations in Cardiff! Guests are happier about it compared to other properties in the area. Stunning Spacious City Apartment has been welcoming Booking.com guests since 9 Apr 2017. When would you like to stay at Stunning Spacious City Apartment? This apartment features a bath with a shower. This apartment has a washing machine, a microwave, an electric kettle, a toaster and a dishwasher. There are 2 TVs, free WiFi and free parking is available. 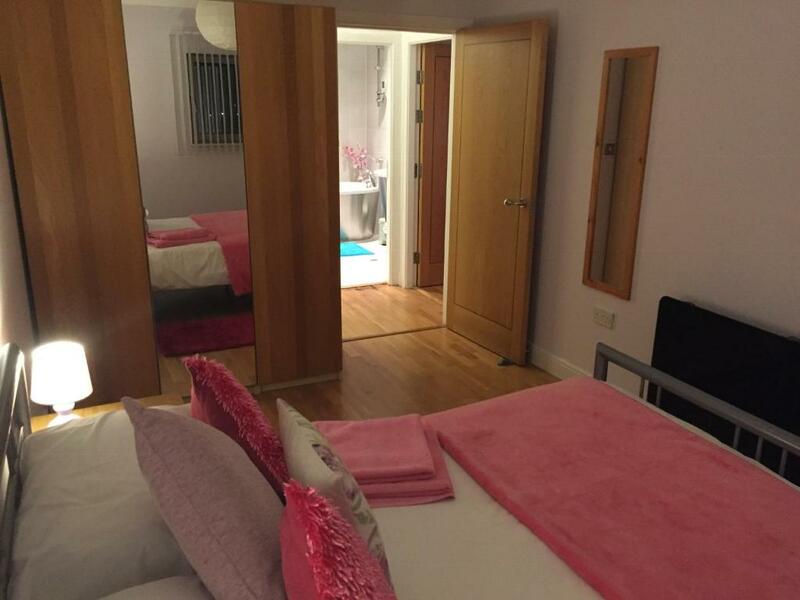 Perfect location for your stay in Cardiff . 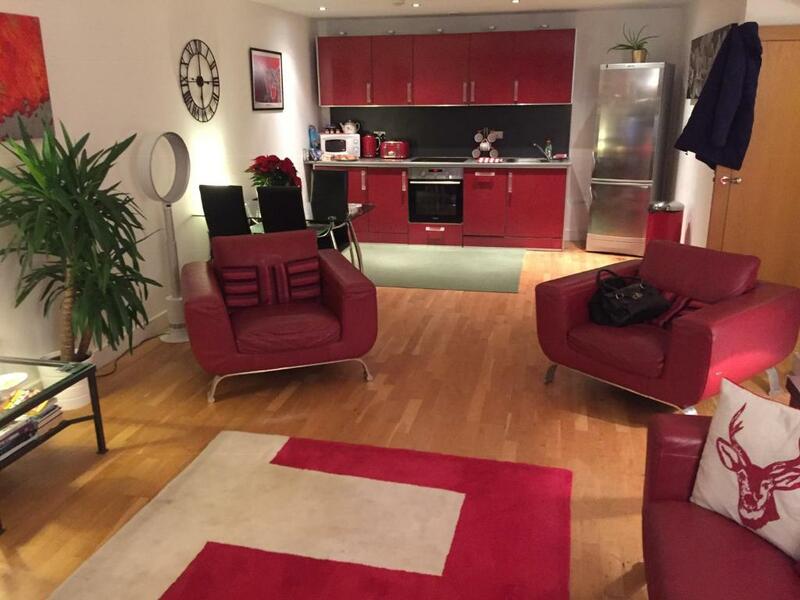 Fabulous , luxury 2 bedroom , 2 bathroom apartment with free gated parking . Opposite Motor Point arena , St David's centre , restaurants , bars and nightlife . 5 min walk from train and bus station . Short walk to Principality/Millenium stadium , Castle , St David's hall and the bay . 24 hour concierge and free wifi , this apartment really has it all !! Rob and I love living in Cardiff and enjoy all its facilities , you can be sure of a warm Welsh welcome !! Cosmopolitan Cardiff has a fabulous mix of nightlife , restaurants , shopping and culture and our apartment is central to all the main highlights . House rules Stunning Spacious City Apartment takes special requests - add in the next step! A damage deposit of GBP100 is required upon arrival. This deposit is fully refundable during check-out as long as there has been no damage to the property. Please note a GBP 50 charge applies for lost keys. Please inform Stunning Spacious City Apartment in advance of your expected arrival time. You can use the Special Requests box when booking, or contact the property directly with the contact details provided in your confirmation. A damage deposit of GBP 100 is required on arrival. This will be collected as a cash payment. You should be reimbursed on check-out. Your deposit will be refunded in full in cash, subject to an inspection of the property. Nothing Perfect in every way! Great location, superb property, great service. Would NOT fault this apartment or its owners! Rob & Dawn are amazing, they made us feel very welcome the apartment is fabulous and well worth the money! The apartment has everything you could wish for with a prime location. Could not fault a thing would book 100% again! Everything! Rob was lovely and the extra touches were so thoughtful and made it seem like home away from home. Lovely apartment with good breakfast and drink selection, family friendly and in superb location with a short distance walk to city centre! The little extras food and drink wise.Very clean apartment in the city centre.